LG has got its foot firmly on the gas, going full speed ahead for innovation and point of difference, but turning a design corner so steeply with the G5 is going to cause a collision of opinions, good and bad. LG has its foot firmly on the gas. Its G5 flagship totally shake-ups the top-end phone market by introducing a module-based design so that additional accessory units can be added for new features and operation. But while that's a fun feature - one that makes the G5 among the most interesting phones we've seen for years, including Samsung's edge series - perhaps LG should have taken that foot off the gas to avoid turning a design corner at such pace. Because the LG G5 is at risk of skidding off the road of reason. Why? We simply can't see modules being bought by, well, anyone really. It's added cost, it's added bulk, it's added hassle. Additionally the G5's metal body looks and feels plasticky - we were initially baffled how, but turns out there is a lot of plastic under a metal coating - the "cut" line towards the bottom as a result of the modular design looks odd, and the rear is probably the least attractive derrière we've seen on a flagship phone for ages. But the G5 claws back points in other all-important areas: it has a ridiculously good camera, a decent Quad HD resolution display, oodles of power under that metal skin from a Qualcomm Snapdragon 820 processor, and quirks like a rear-positioned fingerprint scanner that doubles-up as an action button. Having initially spent a working week living with a US sample of the G5 we've since transitioned into the final UK model, complete with updated software. So should LG have hit the brakes on its modular design concept, or is that merely a distraction from all that the G5 gets right? We've long criticised LG for sticking to plastic designs while its competitors have gone all premium with metal and glass. Last year's G4 had an optional leather back which went some way to offset that, but it wasn't enough to convince the public. With the G5 it's all change, featuring a full metal design (well, full-ish, see above) and removable battery. That might sound like a winner but, like we say, the finish looks and feels entirely plasticky. But there are design perks. The first is the display's soft curve to the top of the handset, which tapers away vertically as if folding off the end of the phone; it's ever so subtle but gives the G5 that little something extra. The second is that the rear button control - which has come to define LG's flagship handsets in recent years - now incorporates a fingerprint scanner. It's a bit small and doesn't work as well as the larger indent in a device like the Huawei P9, leading to read failures more than on most modern flagships, but we like how it doubles as a click-to-press button control. LG watchers will also note that the volume controls are now more conventionally positioned on the side of the handset - not the rear, as per the G4. The third is that LG hasn't needed to include the normal reception bands of plastic that transect many competitor devices. The company says that it has achieved this by "micro-dizing", leading to a seamless look in the main body section. So there aren't the large plastic side stripes as per, say, an iPhone, but the G5 does have two subtle "openings" positioned symmetrically to its top side - around the 3.5mm jack and opposite - and we've found reception to be as good as any other top-end handset (which, given our use of Three network, is admittedly hit and miss). Nonetheless, putting so much effort into hiding antenna bands is counteracted by the horizontal "cut" line to the base of the unit, which is required for the modular design. In the first unit we received there was a little movement between main body and this modular bottom section when tugging them, plus a tiny open gap - but that's not the case in the second, final handset that we've received. The two parts will only come apart if the small button to the side of the handset is pressed. Which brings us to the modular design concept's advantage: it means the LG G5 can accommodate a battery swap as needed. That option is certainly welcome, as the 2,800mAh one inside isn't the highest capacity going and doesn't last that long really. Throughout use we've found the G5 will just about scrape through a day on one charge - we've been managing around 13-hours from full charge before hitting the 15 per cent "danger zone" (which prompts battery saver mode activation) - but the battery performance has dipped in just a matter of weeks. It also begas the question: why not just put a more capacious battery in there in the first place? We suspect without the modular design there would be more room to squeeze in a larger battery capacity. But it's about more than just batteries, of course. What we're calling modules, LG calls Friends. Cute, eh? At present there's the LG Cam Plus camera controls/battery module; the LG Hi-Fi Plus with B&O Play, for a Hi-Fi DAC and amp for 32-bit high-res playback (sounds great, but the G5's built-in headphone socket already supports 24-bit audio, as well as offering aptX HD); and the LG 360 VR, a virtual reality headset. To be clear: we haven't handled any of these so-called Friends modules for this review. So our thoughts about them are based on their concept rather than any physical experience. Reviewing a phone minus some of its core feature kit might seem backwards, but at the same time it's allowed us, to a degree, to not be distracted by these modules and use the phone as exactly that: a phone. Ultimately it's these modules that are going to split the crowd. Will LG continue to support them beyond the G5? Will there be additional ones in coming months (the LG 360 Cam, a 360-degree camera with back-to-back wide-angle lenses, is due)? Will anyone buy them? It's all an open book for now - and one that'll raise a lot of ongoing discussion. With the LG G4 the company made an interesting (and ultimately savvy) decision to not use the out-and-out most powerful chipset on the market. It was a blessing in disguise, as the selected Qualcomm Snapdragon 808 didn't run as hot as the beefier Snapdragon 810 did in many other flagship handsets, such as the Sony Z3+. With the G5 LG has stepped things up a notch by selecting the Snapdragon 820 chipset, backed by 4GB of RAM. That loadout is just about as powerful as things get right now. It almost goes without saying that this translates to slick and fast operation, whatever you happen to be doing. And it doesn't get fry-an-egg hot either; sure, there's some heat with more intensive tasks, but it's always manageable within this particular metal skin context. Such a processor can hit hard on battery life when used to the maximum, though, and we've seen some sharp drops in battery life when running more intensive games and apps. The saving grace, perhaps, is that the G5 supports Qualcomm QuickCharge 3.0 - the company's fastest recharging tech yet - via the USB-C port to the bottom. QuickCharge 3.0 is quick. Despite receiving third-party cables from Anker and a US rather than UK plug to go with our US-sourced handset, we still managed to boost the G5's battery from 15 per cent to 68 per cent in a mere 25-minutes or so, as one example. The top-end of the battery charge is slower to recoup, but quick battery top-ups can go a long way. There's 32GB of internal storage and a microSD card slot available to expand this further if you wish. The latter is housed in the rather large tray on the side, which also handles the SIM card in a separate slot. It's worth noting, however, that this microSD slot isn't using Android Marshmallow's adoptable storage feature, which can make said card like part of the hardware storage. So in the G5 it's not seamlessly integrated and can only be used as a removable card. Not a major issue, but - and just like with the Samsung Galaxy S7 - a point to note nonetheless. The phone market has changed quite a lot within a year, with phone sizes at the larger end of the scale being accepted as the norm (probably the result of the iPhone 6S's acceptance en masse). So while the G4 was no small phone, and the G5 is ultimately similar in size - it's actually slimmer, with its maximum 8mm thickness - despite downsizing the screen size from 5.5-inch to 5.3-inch. Again, that's the product of the module-based design: the detachable section to the bottom of the handset ultimately eats-up what could have been additional screen real-estate. But as 5.3-inch screens go there's plenty of good in the G5's IPS LCD display. It sticks to a Quad HD resolution, delivering 2560 x 1440 pixels (554ppi) over that surface. Because it's not AMOLED it avoids screen burn, and as the handset has an always-on at-a-glance display - the clock, plus alert icons from apps pop-up on the screen without you needing to touch anything - it doesn't need to cycle the position of anything on the display, which is altogether neater than the approach Samsung has to take with its Galaxy S7. Some apps will display as white squares, but many third party ones show on the always-on display, which is great. LG has told us that the display has been redesigned to accommodate this always-on feature, only drawing 0.8 per cent of the battery over an hour. We can't specifically measure this, and while we've not found overall battery life to be all that great in the G5, the always-on screen doesn't seem to have a significant standing on battery drain. Plus, as the feature operates without waking the application processor, the phone doesn't fully wake for all notifications, so those precious Marshmallow Doze functions work their magic, saving battery while you still get to see basic details on the display. Overall, we've found the G5 display to be of high quality. Auto-brightness works well (and with up to 900-nits it's super-bright), there's ample punch from colour and contrast (albeit the cast is a little cool/blue sometimes), while the IPS designation ensures decent viewing angles. That subtle curve to the top shows off the screen's gloss coat but doesn't cause excess issues with reflections, unlike the hyper-gloss finish of the Samsung Galaxy S7 edge. Flip the LG G5 around and, yes, it's not very pretty. But the dual sensor camera on the rear doesn't half take ridiculously good pictures. We've seen dual sensors on the rear of a smartphones before now, including on LG handsets. So while the G5 isn't the first to offer such a feature, LG isn't going to be offering 3D capture again, instead pairing a 16-megapixel main camera with an 8-megapixel wide-angle camera - you simply toggle between the "single tree" and "triple tree" icons within the app to pick which one best suits. It's very cool. The 16MP camera is the better of the two in a sense, as it's supported by the laser autofocusing system that's on board. Which sees the G5 have super-fast and super-accurate autofocus whatever you point it at, aided by a bright f/1.8 aperture for low-light shooting. We've shot in nightclubs, out on the street, in all manner of conditions and, without doubt, the G5's camera is up there among the best performers we've yet seen in a flagship phone. It's not as quick as the Samsung Galaxy S7, but the accuracy and close-up focus is standout. Switch to the G5's 8MP wide-angle camera and things get very wide-angle. It's all too easy to catch fingers in the frame, so you'll have to keep an eye on those edges. There's a fair amount of distortion from the 135-degree field of view too, but that's to be expected. It means you can get loads in the shot, though, which is ideal for tight spots, panorama-like frames and landscapes. Plus the f/2.4 maximum aperture here still means there's ample light getting to the sensor for decent shots. The camera comes with three modes: simple, for basic point-and-shoot; auto, again for point-and-shoot but with a variety of modes available such as panorama, "popout" for processing-based enhanced blurred background, plus more options; and manual, for full control over all the shooting controls, from manual/autofocus, to shutter speed, ISO sensitivity, exposure lock, white balance and even raw/JPEG capture. Plenty of detail here to cater for all possible user levels. The overall quality is rather impressive too. We've been shooting frames hand-held in dim scenarios that some dedicated cameras would struggle with. Sure there's some image noise - those mottled dots/colours - in the shadow areas, but it's not especially bad, unless it's very dark. In terms of actually getting the shot, though, the G5 is a true flagship. Better light yields even better results, in part thanks to that wide-open maximum aperture - which, with some specific focusing, can make for great blurred backgrounds in shots. As cameras go in flagship handsets, LG's dual offering is a storming performer with some great features that's easily up there in among the mix for best of the bunch. It's very impressive - to the point it's almost made us forget about our less-than-beaming view of the module-based design. Initially we were using a US-sourced G5 ahead of final product. You might think switching to the UK final product wouldn't make much difference, but LG has taken the time to squeeze in some extra features, primarily the appearance of an optional app drawer. On the whole we've found the Android 6.0.1 Marshmallow and LG software mixture to be relatively stable, with only some intense gaming apps causing issues, or sub-15 per cent battery bombing out to dead and crashing. Otherwise it's only been the inability to use LG Backup to transfer out from a previous phone and a random one-off alarm going off at 15:00 (still haven't figured that out) that have glitched out. The G5 certainly doesn't offer a pure, untouched Android experience, with the company making some fairly hefty changes. That ranges from the reworking of the settings, through to redesigning app icons. But the biggest change in this handset is the option to have a homescreen with or without the apps drawer (a software update that arrived post-launch). We're content with our drawer-free setup, with an iPhone-like layout of apps and folders everywhere. Whether that's you or not is, well, down to you - flip into the Home & App Drawer and you'll get a second customisable homescreen. Change your mind and you can flip between the two should you wish, with the phone remembering layout, folders and so forth for each. Otherwise the G5 actually simplifies LG's software approach, ditching a variety of features in older G-series phones such as Q Slide - those quick-launch overlays for multi-tasking - and dual-window support too. There are smart settings, though, with auto-responses to specific actions, such as Google Music opening when earphones are plugged in. Oh, and Knock Code - the ability to unlock the phone with a series of taps - is still present, but less useful, we suppose, considering the presence of the fingerprint scanner. The overall G5 experience isn't bogged down with pre-installed bloatware either, thus delivering a stripped-back approach that makes for a clean and approachable Android experience. So, with modules axed from our brains for a moment, let's hypothetically pretend they don't exist. 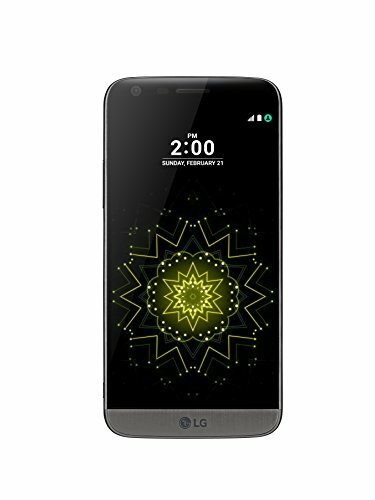 In that context the LG G5 has some really standout features: the dual-camera is something special, the Quad HD screen looks the part, and with Qualcomm's Snapdragon 820 processor, 4GB RAM and QuickCharge 3.0 to boot, there's all the power you could need. It's good to see LG on board with the fingerprint scanner too, ensuring Android Pay is a reality. But it's still not a clean-cut result. The G5's metal body looks and feels plastic despite being metal, and while all the "micro-dizing" and subtle screen curvature sells might sound the part, they don't add-up for a phone that's especially stunning; that fingerprint scanner also feels strangely small and isn't as isn't as foolproof as many current competitors (despite clever rear positioning); and the battery life is so-so given the 2,800mAh cell. And so back to our opening gambit: LG has got its foot firmly on the gas, going full speed ahead for innovation and point of difference, but turning a design corner so steeply with the G5 is going to cause a collision of opinions, good and bad.